Motor City Pride is a volunteer-driven event celebrating the lives of Michigan’s Gay, Lesbian, Bisexual and Transgender citizens. A weekend packed with multiple events including a family picnic, golf outing, Commitment Ceremony, parade, and beer garden. 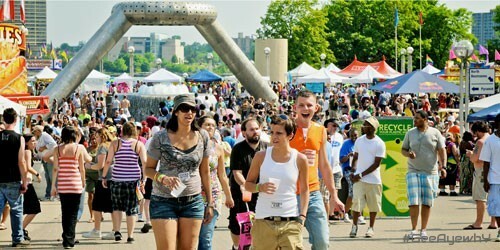 Motor City Pride culminates as the largest LGBT gathering in Michigan and is newly located this year at Hart Plaza downtown Motor City. A summer riverfront festival has open-ended appeal. There is something truly energizing, exciting and empowering about holding Motor City Pride in a location where people work, shop and live. Holding a Pride event in the historic Hart Plaza solidifies the notion of LGBT people as active parts of the larger community.